Dawn Hale talks to us ahead of her panel discussion at the FEM EMEA Summit. FEM is delighted to confirm that Dawn Hale, Head of Global Mobility at Johnson Matthey will be joining us on our panel discussion, 'Brexit and beyond – turning challenges into opportunities', at the FEM EMEA Summit 2017 on 9-10 November at the O2 InterContinental, London. FEM: How long have you been involved in the Global Mobility sector? DH: It shows my age, but I’ve been in Global Mobility for over 20 years! FEM: What changes have you seen in that time? DH: There is more complexity with the types of mobility, the introduction of technology and the compliance challenges. FEM: What do you think are the three greatest challenges facing Global Mobility professionals today? 1.Balancing the needs of the business to mobilise employees quickly and cost effectively with the increasing compliance requirements – this isn’t a new challenge, but with the growing complexity and demands it can be even more challenging to achieve the balance needed. 2.Becoming a strategic business partner and not getting lost in operations – using technology to help with this, but changing the mindset of the business that Global Mobility can help them meet their strategic goals and not just send someone from A to B. 3.Managing employee expectations – again not a new challenge, but we have an increasingly diverse workforce and we are moving people around in different ways, so supporting the various needs of our employees (and their families if they have them) is still a key challenge. FEM: What are the key messages you hope delegates take away from your session, 'Brexit and beyond – turning challenges into opportunities'? DH: There aren’t any simple answers to the challenges we are facing, but together as Global Mobility professionals we can help each other, and then our businesses, with strategies to cope with the changing landscape. FEM: Who would you recommend attend your session? DH: Anyone who is concerned about matching their business' need for globalisation with an increasing political trend against it. FEM: Which particular session are you most interested to attend? DH: The immigration sessions hosted by Fragomen on Day One as we seem to be having most of our compliance challenges with immigration at present and it is a concern that this will only get worse. Dawn has worked in the Global Mobility industry for 20 years. Her current role is in the UK as the Head of Global Mobility for Johnson Matthey Plc, a FTSE 100 Company. She is responsible globally for all aspects of the Group’s short and long term international assignments and their permanent international moves. Prior to this she has had Global, European and Asia Pacific Global Mobility roles based in the UK, Australia and New Zealand working for global companies such as IBM, PwC, Accenture and Fonterra. 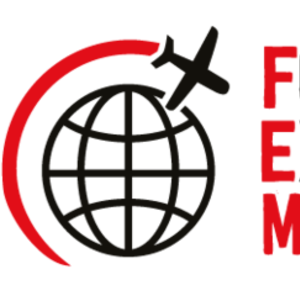 What can you expect at the FEM EMEA Summit 2017?